When it comes to improvised acting, Ricky Gervais really knows what he’s doing. 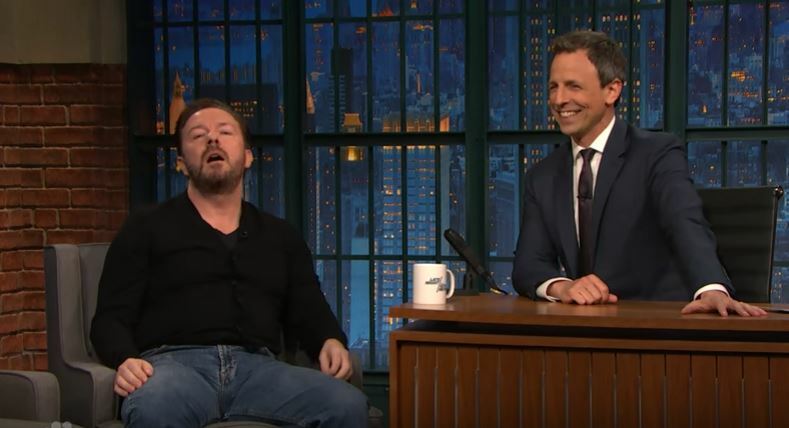 During a recent appearance on Late Night with Seth Meyers, Gervais helped Meyers film some promos for local affiliates. Each promo had a different theme, ranging from ‘give me your best George Clooney cool’ to ‘you had a couple of drinks backstage, maybe one too many’ – and he totally nails it. Especially the drunk theme, he really puts his heart and soul into that one. In the same interview, Gervais explained a plan that would trick Donald Trump into thinking he’s president. After admitting that he can’t get enough of Trump purely for the entertainment, Gervais developed a plan where Trump would be told he was president, but actually wasn’t. Sounds perfect already. 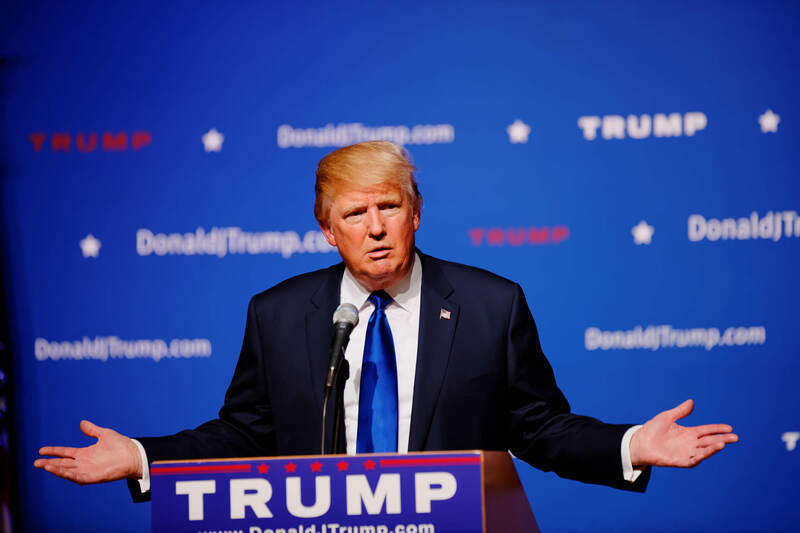 So basically, we would tell Trump he was president, he’d get up every day and address the American public, and with extras all around him it would just be one big joke and the whole thing would be filmed. So he just gets up every day, and he does a little address and we go ‘Yes brilliant, you’re the president. Hi president,’ and they’re all extras. And he just never knows. And he’s just never president. Sounds like the best plan yet.